An Gadhar Bán-Rua - The Irish Red and White Setter has fortunately emerged from the mists and myths of centuries of Ireland's turbulent history. Cared for by the disinherited Irish yet owned by the anglo ascendancy, these working aristocrats were at home on the green fields and whin filled uplands of the Gael. Legends of sharing and love, depict a hapless native population including the dogs in their meagre meted out ladles of gruel or champ even in the ignominious famine period. Now as then these pure breds demand family membership. They prefer the sofa, accept the crate and are not unduly fond of the kennel. As the great estates became untenable and their gentry repatriated, furtive breedings to their stock heralded a tenuous line of survival for the breed. Revolution, latent conscience, retarded romanticism and necessity evoked a spirit of cooperation amongst divergent ethnic and religious communities in the land. Presbyterian Rev. Noble Huston, Mrs. Maureen Cuddy and Catholic Bishop Mulligan and Canon Doherty, were early saviours, staunch defenders and savvy promoters of the extinction threatened (circa 1919) fourth setter. Mean spirited ascendancy statutes, which insisted on the lowing and curtailing of dogs in lowly homes found Huston et Al scouring the country in all four provinces for the few viable strains left. Luck would have it that his relative's (Killen-Elliott) hunt home "Eldron" was proximate to the Rossmore estate and castle. Baron Rossmore's family (Anglican established church) at Monaghan in Ulster, had almost a monopoly on these tender souled vanishing Irish setters, though sightings of La Touch, Mahon and even Shower of Hail remnants became the frequent topic in a wonderfully intense Cuddy/Huston correspondence. These are the Irish Setters from which the Irish Red came, as the parti-coloured Red and White lost favour to the dictates of fashion and bench. The nature of this animal which to its "last feather" was to hunt, became secondary to the potentially more lucrative, supply and demand driven, show market. Even today two reds may throw perfect Red and Whites according to recent issues noted in Belgium and the United States, although questionable Kennel Club statute nuances have obstacled logical registration. Obviously the genes have a potent tale to tell as will no doubt the genome project late initiated. September 21st, 1944 saw the inaugural meeting of the Irish Red and White Setter Society. It was to be the swan song of the old ascendancy families in relation to the breed as names of the Celtic order increasingly replaced the Anglo. An added poignant note was the vote of sympathy extended to the relict of Rev. Huston recently taken to the "great hunting ground" which he no doubt shares with the many Red and Whites he nobly befriended, lovingly protected, constantly promoted (Top Honours Royal Dublin show 1896) and assuredly saved from threatened extinction. Ar dheis lámh Dé a anam uasail. May his star shine. William Cuddy, secretary and public relations electee at that 1944 meeting and his wife Maureen Clarke Cuddy of Cunningham, Donegal, were to become the link and conduit to Red and White matters of practically the entire 20th century. Their Knockalla Kennel at Middleton in Munster had tangible contact with Red and White devotees of the Century-Rossmore-Huston-Gillespie-Barton- Lennox-Nash-Mooney-Gaynor-Houston-Laird-MacDiarmada-Gormley- Walsh-Griffin-Doherty, etc. Father Patrick Dohery-the Canon- although late to register his lovely Kennel name Sheebhín (illicit bar) has long association with the Red and White as huntsman. His annual get-to-gether during the Munster circuit is a Red and White venue not to be missed. Accompanied by famed Irish hospitality and fellowship open to all persuasions, hunt and show legends are meditated upon, cogitated over and pressed into the dog psyche indelibly. Parish assistant Máirín Daly is an able conversationalist as she probes the Canon's sharp memory for people, dogs, shows and hunt events, past and present. From Sheebhín and Knockalla, the Red and White echo has resounded throughout Britain. 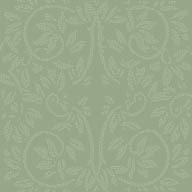 Trailblazer Meuden Amber Glow came from Heidi of Canon Doherty and Harlequin of Mrs. Cuddy. 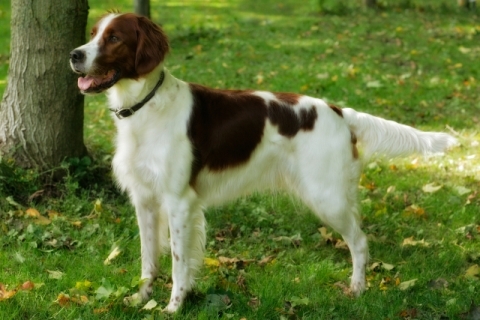 Irish Red and White Setters have found favour also in Belgium (Vernenne-Coudenys), Germany (Schneider), Finland (Julia Grims), Australia (Mooney), Switzerland (Karrer), Holland (Van Dronkelaar) and Austria (Felgitscher). North America has three Red and White associations, two in the United States and one in Canada. Oral tradition has it that breeding habits of the dog's were less than self-serving (as was it more) as they were wont to have prefect ties on the main Dublin Cork road, much to chagrin of the local Gárdaí Síochána - the police- as they routed stiff traffic around amorous couplings. Will Cuddy and the late esteemed Maureen Cuddy and their friends Canon Doherty and Father Griffin saw fruition to their long quest for an active promotion of genetically sound genuine specimens of the depleted national treasure. Kennel names deservedly held in awe include Knockalla, Moan Ruad, Sheebhín, Meudon and Lougherne. The passionate fortuitous cause they successfully espoused, deserves much laud and gratitude as indeed do UK. Red and White Setter advocates. Míle, Míle Buíochas is achan dea ghuí. A hundred thousand good wishes to Iles, Brigden, Cohen, Webb, et Al. For more articles/documents by Dr. Albrecht Ua Siaghail, click here.